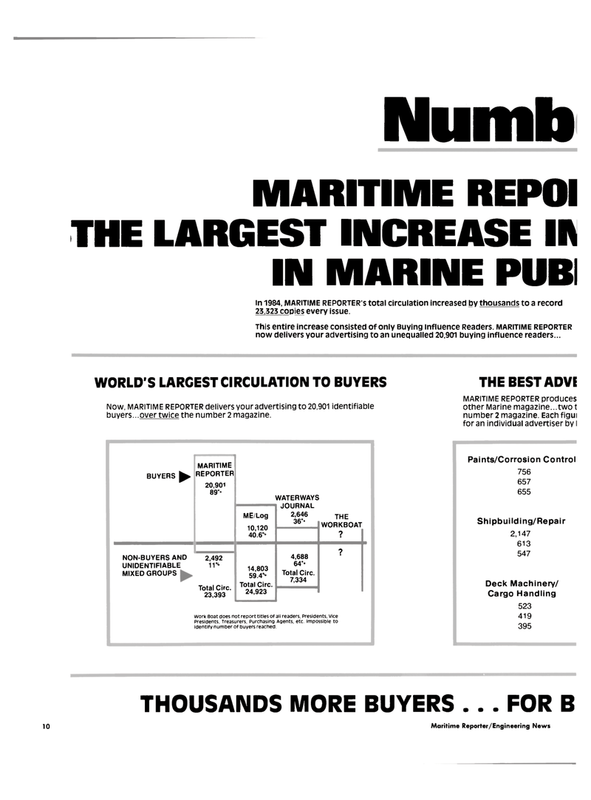 In 1984, MARITIME REPORTER'S total circulation increased by thousands to a record 25.523 copies every issue. Now, MARITIME REPORTER delivers youradvertising to 20,901 identifiable buyers...over twice the number2 magazine. JOURNAL 2,646 36°° THE WORKBOAT ? Total Circ. 7,334 ? work Boat does not report titles of all readers, Presidents, Vice presidents, Treasurers, Purchasing Agents, etc. impossible to identify number of buyers reached.